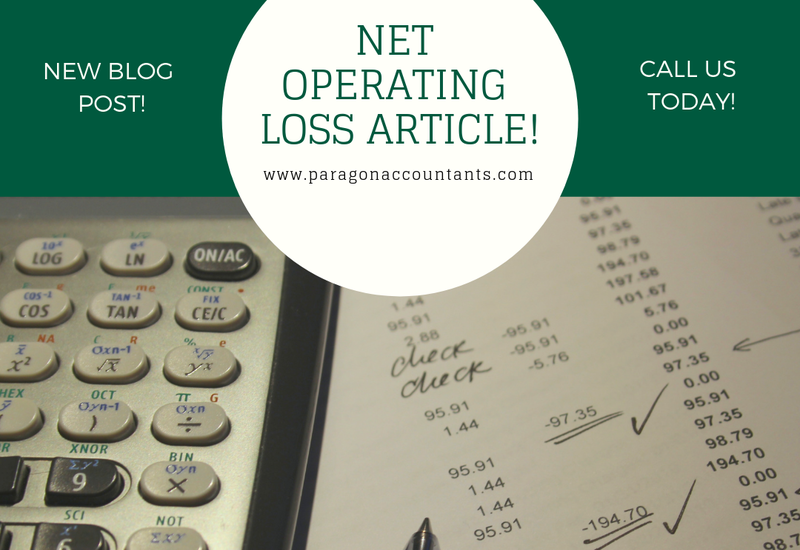 Whether you are a company that’s just starting out or are within an industry subject to seasonal long-term trends, having a net operating loss (NOL) in one year and net income in another is not uncommon. But shouldn’t businesses with steady income year to year have similar tax consequences as businesses with big highs and lows? Fortunately, the IRS agrees and allows you to apply the loss from one year to the gain of another; however, tax being tax, it’s never that simple. And the recently implemented Tax Cuts and Jobs Act (TCJA) changes some of the rules for NOL’s arising after 2017. Before the Tax Cuts and Jobs Act, you could carryback an NOL up to two years and carry it forward up to 20 years. You have to choose whether you want to carry the NOL back or forward; you can’t do both. If you choose to carry the loss back to prior tax years, which is the default treatment, you have to apply the NOL to the oldest year first. For example, if you have an NOL in 2017 and don’t elect to waive the carryback period, you have to apply the NOL to 2015 first then 2016. If you still have a remaining NOL after applying it to 2015 and 2016, you can start carrying it forward to 2018 on. As you can probably tell, it’s possible to have a big enough NOL one year to fully zero out net income of another year, aka you don’t have to pay ‘any’ income taxes. Remember, just because these were the rules before tax reform doesn’t mean that they are not applicable to you. These rules apply to NOLs arising before 2018, so the pre-2018 NOLs that you are carrying forward still follow the above rules. Starting 2018, NOLs will not be able to be carried back but can instead be carried forward indefinitely. However, unlike the NOL rules before the TCJA, the NOL amount taken in a year is limited to 80% of taxable income of the tax year. Basically, you will have to pay some amount of tax in the years you have positive net income no matter how much NOL’s you have stored up. Let’s say your all-organic smoothie shop had taxable income for 2018-2020 of $300, -$700, and $400, respectively. Under the TCJA, you cannot carryback the loss from 2019 to 2018 and instead have to carry it forward to 2020. On top of that, you can only apply $320 ($400 * 80%) of the $700 loss to 2020; the remaining NOL of $380 is carried forward to future years that have positive taxable income. As a side note, the NOL you sustain for a year is not the same as the negative taxable income. There are various adjustments that need to be made against taxable income in order to calculate the NOL you can carryforward. Speak with your tax professional to go over the adjustments that are applicable to your business. Not sure how the Tax Cuts and Jobs Act will affect your business? Want to be prepared for the quickly approaching 2019 tax season? Schedule an appointment with Paragon Accountants today and stop worrying about those pesky taxes!